Discover the three 5 star hotels of the Delphina hotels & resorts collection, luxurious and exclusive but with a free spirit. 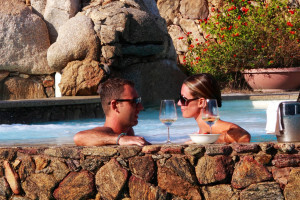 Imagine one of the best luxury hotels by the sea in the North of Sardinia, sophisticated and elegant and offering exclusive services in a privileged position. Imagine enjoying Sardinia’s unique and unspoilt nature at the same time, discovering the wild heart and authentic traditions of the island without sacrificing comfort and exclusivity. 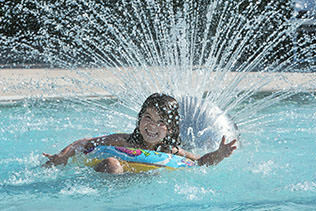 Imagine an informal holiday yet with all the charm of a 5 star hotel. 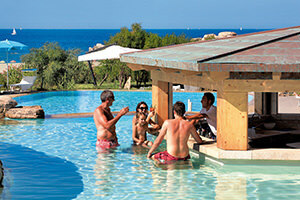 Enjoy a unique experience in contact with real nature, delighting in all the privacy you want, kissed by the sun and caressed by the perfumed breezes of Sardinia. Let yourself be pampered by our attentive and experienced staff, re-awaken your senses in our Thalasso & Spa centres and don’t miss the opportunity to be spoilt by our talented chefs. A really unforgettable holiday. 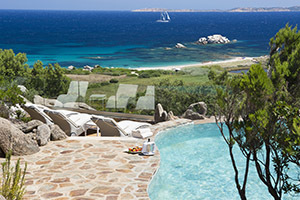 A romantic boutique hotel with Golf & SPA right by the sea facing the La Maddalena Archipelago and the island of Caprera. An oasis of charm with private marina and exclusive services just perfect for couples looking for privacy and relaxation. One of the Mediterranean’s most beautiful natural settings with 1,400 m of unspoilt coastline including beaches and private bays that look out onto the uninhabited island of Spargi. An earthly paradise with every creature comfort for exclusive holidays with family, friends or that special person. One of the most enchanting coastlines in Sardinia, still able to take the breath away with its wild natural beauty and painted every evening with the colours of fiery sunsets. 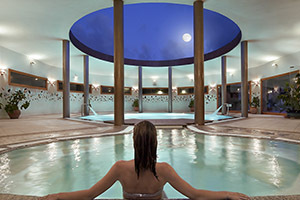 With its 2,500 m2 of Wellness Centre it is the perfect place for couples and families who want to enjoy a relaxing wellness holiday just a stone’s throw from the sea. Arrive at the hotel of your dreams by helicopter: we organize transfers with panoramic flights over the La Maddalena Archipelago!